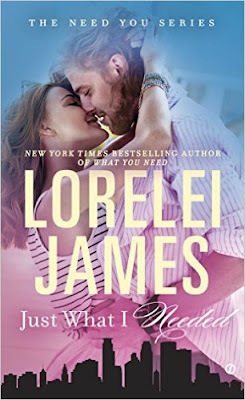 I will read anything that Lorelei James writes. Her writing is magical and sophisticated, and keeps me fully engaged and entertained. Lennox had an awful childhood. So, doing what she had to do to stay away from her toxic house and mother she rebelled and did what she had to do to protect herself. Now, years later, she has a stable life and job. She’s a “floater” at Lund Industries and has a house she shares with her roommate. Everything is going smoothly, and with a childhood of uncertainty and constant change, she couldn’t be happier with her life and stability. Brady Lund is 32 years-old and is the CFO of Lund Industries. He works over 80 hours a week and rarely makes time for himself. When he sees Lennox he’s immediately drawn to her and they have an instant connection. He recruits her to help him loosen up and have a life outside his office. I really loved this book. From the first page I was hooked and couldn’t put it down until I was finished. The main thing I loved about this book was there were no company rules that stated employees couldn’t be involved. Lately, there are so many books where the employee dates the boss and it has to remain a secret because of company policy, but with this book that wasn’t the case. 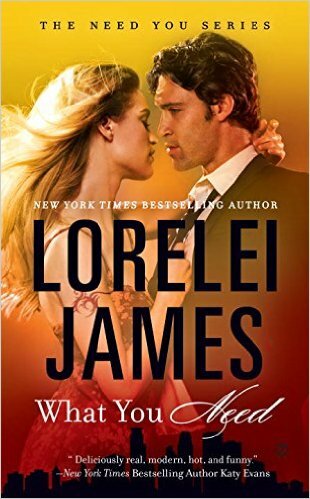 Lennox and Brady didn’t have to hide their relationship which was refreshing in a book that focused around a boss dating an employee. Lennox had fantastic characteristics and was truly enjoyable to read. She was strong, independent and didn’t let anyone walk over her, including her dead beat mother. Brady Lund is the successful CFO of Lund Industries. He works too hard and has no time to play. When he was a teenager, he was used for his money during a prom date. This marked him and he's suspicious by default now. His family is worried about him not having a personal life and they intervened. Brady admits he needs to start enjoying something more than math. He had his eyes set on Lennox for ten months before he finally approached her. He knows she's the right person to help him find his wild side. Lennox Greene is finally in a job she likes. Her childhood was not perfect. She didn't get along with her mother and the company she kept. She left home and joined her boyfriend's band traveling from city to city. Once she noticed she was running away like her mother did, she came back home, went to school and applied for a stable job. She is happy at Lund Industries and she's not sure helping the wild side of Brady is what she needs now that her life is on track. If only he didn't look that good wearing suits! I love Lorelei James books so I knew this was going to be good too. I like that Lorelei set up this novel in a way that most of the characters can get a book too. I like Brady and Lennox together. They had chemistry and neither was too damaged. I felt like Brady made a couple of bad choices but he was good at apologizing. Lennox had ambition and she has made something of herself. Before she met Brady, she could have continued her life without responsibilities but she wanted more out of life. My favorite secondary character was Lennox's roommate. I hope she lands a book soon. Brady Lund is CFO of Lund industries, Lennox Greene is a temp for Lund Industries, they couldn't be more different. Brady noticed Lennox instantly but with his fair share of failures in the past never got up the nerve to approach her. When he finally sees her on his floor he does! He talks to her! Although it doesn't turn out the way he would have liked it to. Soon after it seems like chance encounters are bringing them together, that must mean something. Lennox decides a date with Brady couldn't hurt. There is definitely attraction. Brady has conquered the business side of his life but he needs help finding his way in his personal life, and recruits Lennox to help him with that. The only problem is Lennox has already lived out her wild side at a very young age and doesn't know if this is a good turn of events for her. I love the writing in this story! Lennox was the wild child turned good and Brady was to nerd wanting to find his wild. Such a well written story in every way! I love the characters and the banter. It was cute seeing how Brady struggled with Lennox at times. I really took to Lennox right away as well. She is strong willed and just doing what she needs to to survive after having a pretty crappy childhood. I am very excited to continue with this series!